Being pregnant with baby #2 I’ve been feeling all of the emotions lately and I’m realizing more and more to enjoy the little moments because time goes too fast! I feel like it was just yesterday we were bringing Isla home from the hospital and beginning our new life as a family of 4… and before we know it we will be a family of 5!!! Since Isla just turned one there are a ton of milestones coming up (she’s so close to walking) I am trying to capture every moment. Lately I almost always have my Canon Rebel nearby so I can capture the cute things that Isla does (and Dasher is always along side her, they’re never too far from each other). I never want to forget this stage! As I look back at old pictures of her first year I’m SO grateful for each and every photo I took because I now have them to look back on and cherish. In my opinion, you can never take too many pictures (Drew disagrees ;)!!!! When Drew takes my outfit photos we use the Canon EOS 5D Mark II with the EF 70-200mm f/2.8L lens, which I love but it’s SO heavy which makes it nearly impossible to just pull out and start shooting at a moment’s notice. For all of our family photos my favorite camera to use is my Canon Rebel with the EF 50mm f/1.2 L lens. I love how lightweight it is, and the best part is that it has built-in wifi so the photos can be instantly uploaded to my phone from anywhere!! I just got the Canon Photo Printer and I LOVE that I can print all of the family photos straight from my phone or computer without having to go to a printing store. Finally all of the picture frames around my home are starting to fill up!! Use a portrait lens. This will blur the background out, instantly making it look like a professional photo! (My favorite is the EF 50mm f/1.2 L lens. However, the EF 50mm f/1.8 lens is budget friendly and still produces beautiful portrait photos). Get on their same level. Yes you might have to crawl around but it’s worth it. Use props or toys to help make them feel comfortable and to keep them occupied (a dog will work too ;). Take a ton of shots, don’t wait until they are looking at the camera. 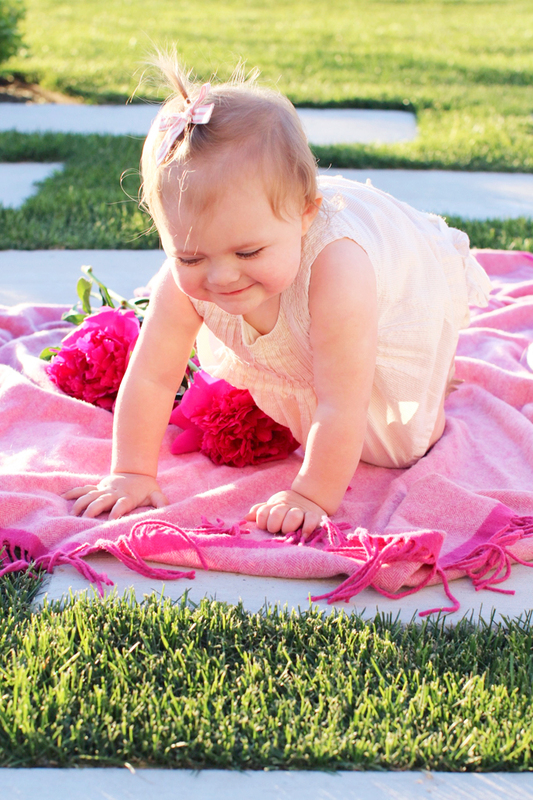 Some of my favorite photos I’ve captured of Isla are the candid ones where she’s just doing her thing. Have another person there with you. I always like to have Drew or one of my sisters there with me to get Isla to laugh smile or look at the camera. Ps- We are currently vacationing in Croatia! Check out my blog for details about our trip this far! Great tips …I love your photos so I will follow them for surely!!!! Great post!! Your photos are always amazing! Thank you so much Niki!! Really great ideas!! I recently bought a new lens… 50mm f/1.4 for my Nikon and I am so happy with it! Learning photography is hard, and at first I didn’t like it one bit. Finding that it’s now fun and excited to keep exploring it! 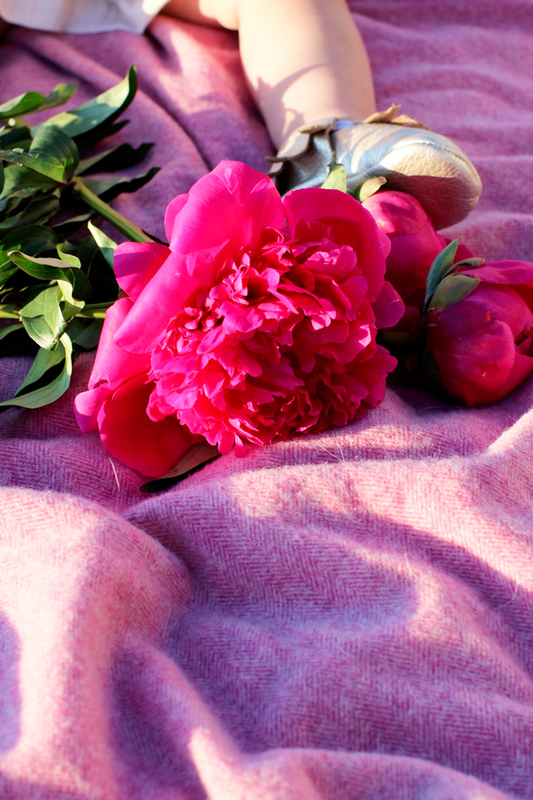 You always have the most beautiful pictures on your blog and your Instagram feed! Your style, your photography and your wonderful family are so inspiring. Your photos look amazing! Glad you are capturing everything from this stage. Thanks for sharing these photography tips! These pictures are beautiful! Thanks for the tips! I’m trying to get better with my photography. Great tips, thanks rach! Have a great holiday weekend!! 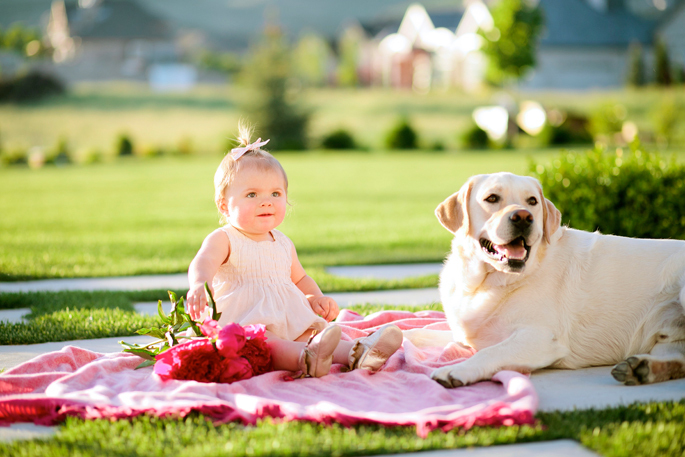 Love the pictures that you took of Isla and Dasher! They look so happy and cute. Thanks for sharing your photography tips! Have and amazing weekend. Great tips and beautiful photos, Rach! Great tips! I love my 50mm lens I use on my Canon Rebel. Hi Rach! I absolutely love your blog! You are gorgeous! Thank you for the tips on the camera. I have a Canon Rebel too and need to get the lens you recommended! Omg, you just made my day. I am constantly searching for ways to take better pics. Yours always looks so vivid and clear. Thank you so much for sharing! Great tips! 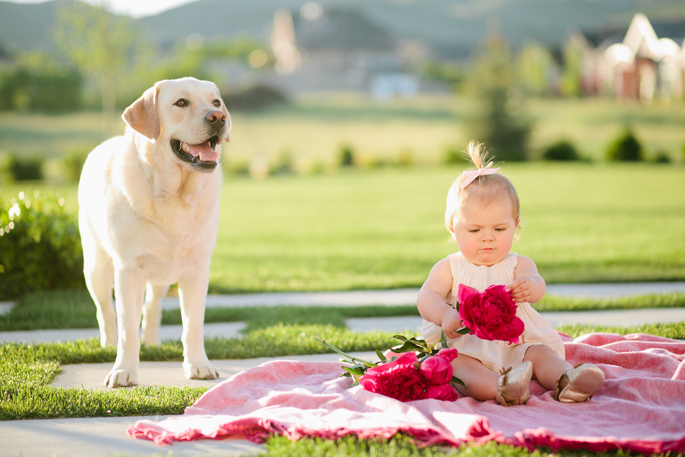 I absolutely adore photos of Isla and Dasher together, they are such a sweet funny pair! I LOVE your large rectangular pavers! Are they blue stone? Would you mind sharing the company? I am looking to do something similar. Thanks in advance! ? Thank you so much for the tips.. I’ve been looking for a camera to capture family moments.. Definitely going to purchase. Thank you! Have a nice weekend! OMG! she is adorable, the candid shots are always the best!! This post was just what I needed :) Thanks so much! And adorable family as always! 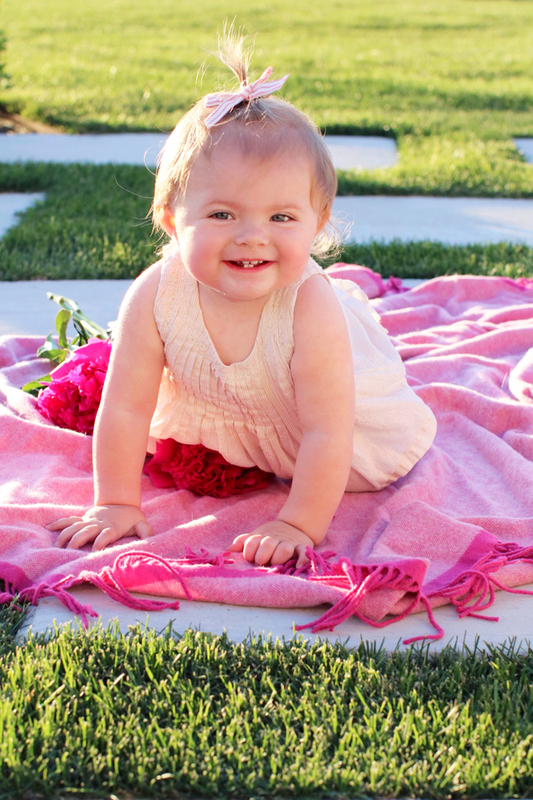 And I just have to add, I love the stage that Isla is in… All of those adorable skin rolls :) Seriously one of my favorites with my own kids! I love this post, Rachel!! Such great tips! I actually just got the Canon Rebel T6i a couple months ago and I am obsessed. I always take my daughters pics as well and look like you crawling around in those pics LOL. Anything for the shot right? :) I do need to invest in a Canon printer though! Thanks for sharing! As always, your pictures turn out so wonderful! Great tips! I’m with you on the 50mm-my larger lens is just too darn heavy. 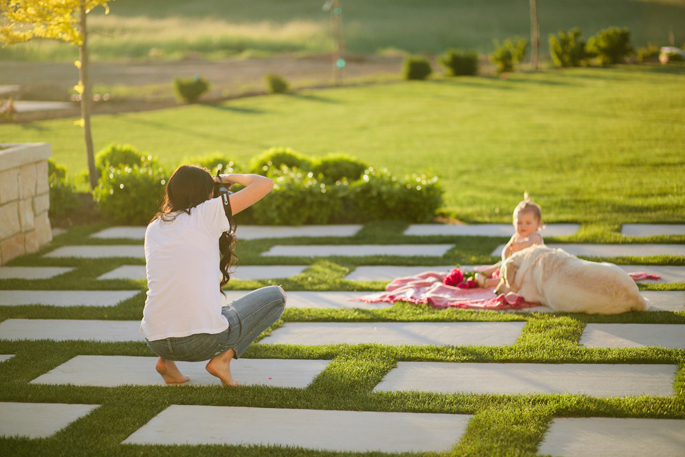 I do the same thing with my little one-getting on their level and the photos always turn out so much better vs. shooting down. The one thing I regret not doing that everyone tells you to do is have a toy on hand or something that makes them laugh. I remember taking 1st bday photos in the park as a family and it was the hottest most insanely humid day. 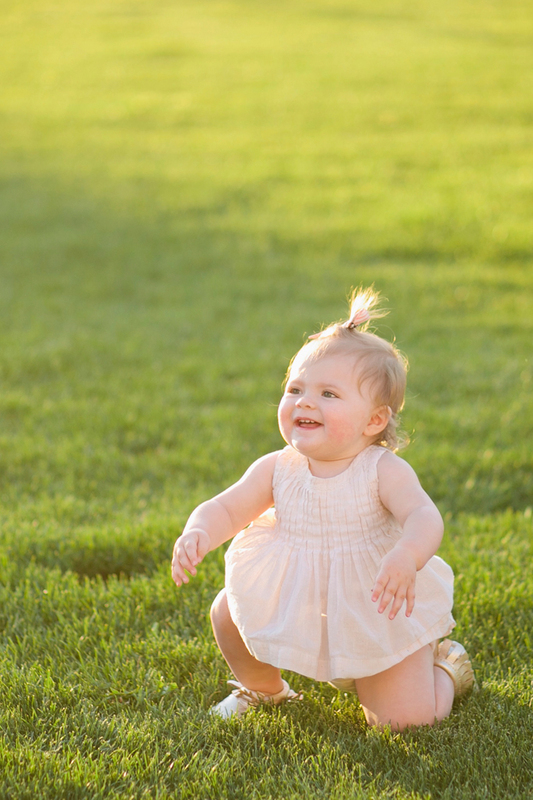 I was running around with props in the heat and carrying her as she didn’t walk at that time and when we got the photos I realized most didn’t have her smiling and she just wanted to play and not smile for the camera. I experienced the same thing again about a year later during another shoot. She’s nearly 3 but lesson learned! Now we get her to repeat silly phrases that make her laugh which work. Another great tip that I wanted to share and I hope this helps someone else because I didn’t do it and SO regret it, is use a tripod when you don’t have a significant other around. My husband was working in China for 6 months then TX for another 3 months and I never took advantage of it when she was under 6 months just holding her in a chair, rocking her, etc or playing on the floor. 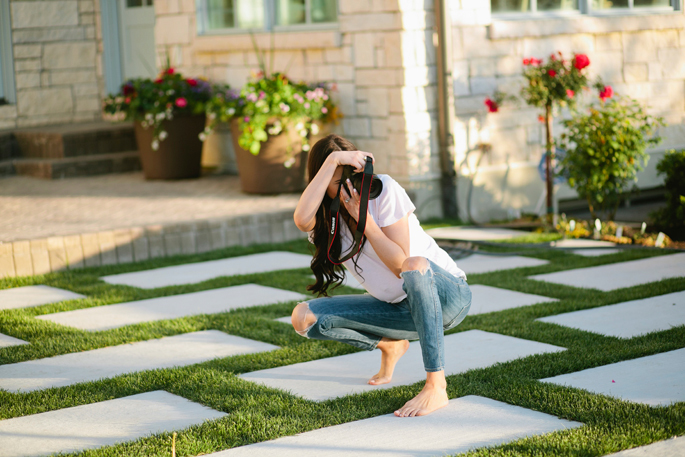 I use the self-timer mode all the time now for other family photos, etc as well as my blog outfit photos as I don’t have someone to help as many bloggers do, and you’d never know they weren’t! So, far the mamas who have military hubby’s, etc., spend about an hour or so learning to use the self-timer in various setting both indoors and outdoors. It’s running back and forth to set it up, but you can run about 10 frames and move slightly to change the overall photos. 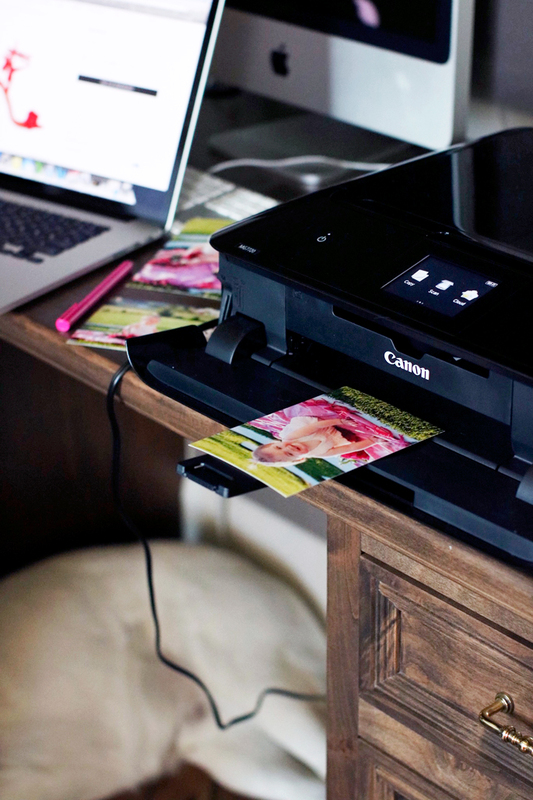 This printer looks like it prints some beautiful photos and I love your little shoot with Isla. Your backyard patio/grass area is stunning! Awesome tips! Have a fab weekend! My husband and I have been trying to figure out how to get that look with pavers in our back yard. Did they get poured in place or did you buy them made and set them yourself? Thanks for the help! Ps. I texted the picture of you in the orange dress in your yard to my contractors to show him the pavers and the pic went through but not my messages. He was very confused as to why I was sending him pictures of pregnant women! Your baby girl is so beautiful!! I absolutely LOVE my Canon Rebel T3i!! And it really helped to upgrade from the kit lens to the 50mm 1:1.8 and (my favorite) an 85mm 1:1.8. 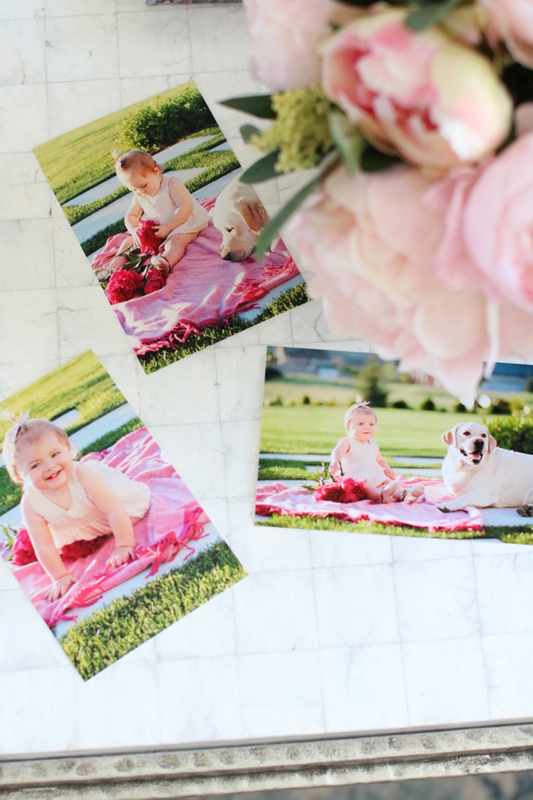 It’s so nice to be able to capture all of the memorable moments of our kiddos lives and have wonderful, printable results! These photos are darling! I totally agree, you can never take too many pictures! I have totally slacked and just use my cell phone now which I can’t print. This is a good reminder to start using my pro camera. These are great tips! 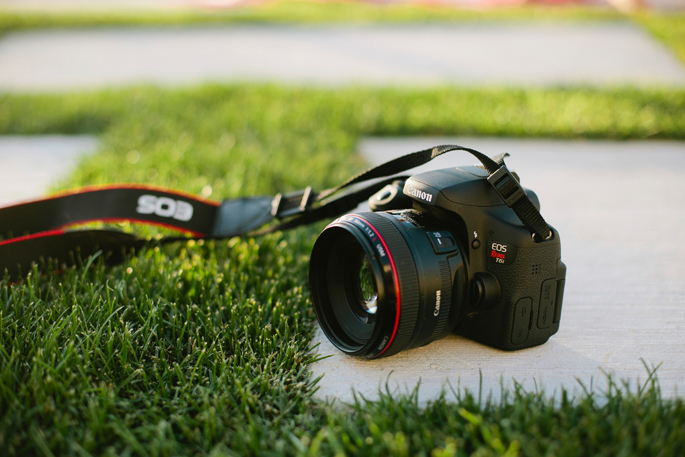 I have the Canon 5D Mark III and I absolutely love it! It’s such an amazing camera and captures all of our memories so beautifully! But I do agree with you that it is heavy and not ideal for quick family photos. The wifi options is so convenient and something I miss on the Mark III. Thanks for sharing these tips! 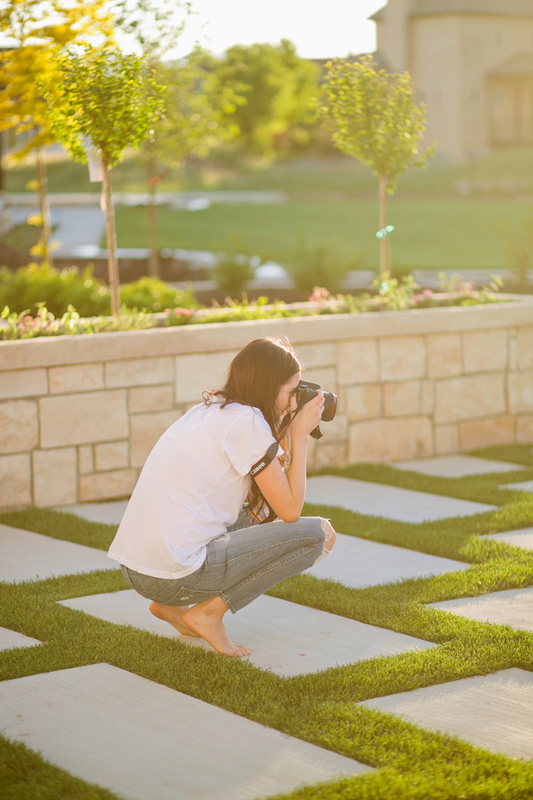 You always have such perfect photos, so it’s good to know exactly what cameras and lens you use! Aww Isla is just the cutest!! Thanks for the tips! When is baby #2 due? This was such great content to read!! I just started my own blog and have been trying to figure out how to take awesome pictures. I love your blog!! I’m so glad you liked it!! Blogging is so fun :) Thanks for stopping by! I purchased my T3i after having my daugter who is 3, my son also just turned 1 and I need a new lens. Love all your photos of Isla, she is such a cutie pie! I used my phone to take a majority of photos out of convenience and ended up destroying the phone by accident and losing months of memories, so I am so sad about that. You will find that time goes even faster when you have 2 little ones! I don’t even know where this past year went. Hey Dewa! How do you like your T3i? Thats so sad about your phone, I’m so sorry! Photos are so special when we have little ones. I am so excited for our family to grow!! Thats very helpful tips, I have canon 50 mm 1.8 lens and t4i so its close to those, but that L lens is nice, I have other L lens but it not make so big bokey- 17-40 mm 1:4 but is ok for landscapes. I LOVE my Canon 50m 1.2! Its what I take 99% of my pictures with! I have the 5D Mark III and its so awesome! Great tips Rach!